1935 Oil On Canvas Pennsylvania Rural Landscape: Signed and dated lower left, Jn. 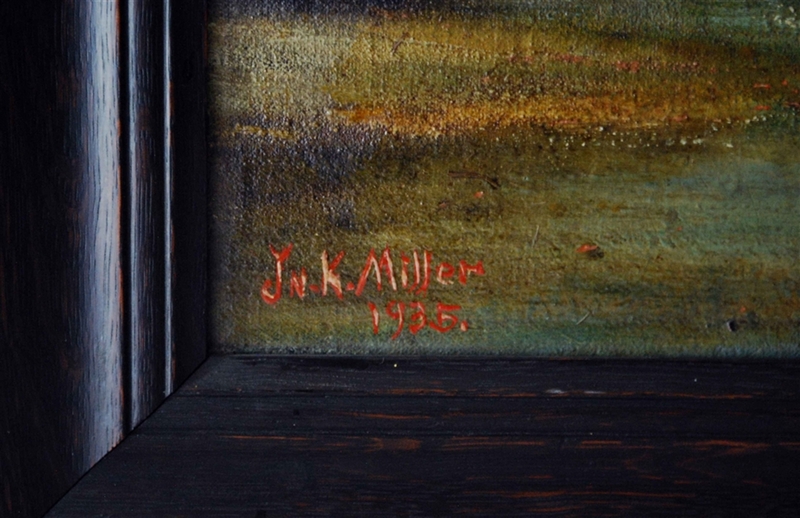 K. Miller, 1935 in red. 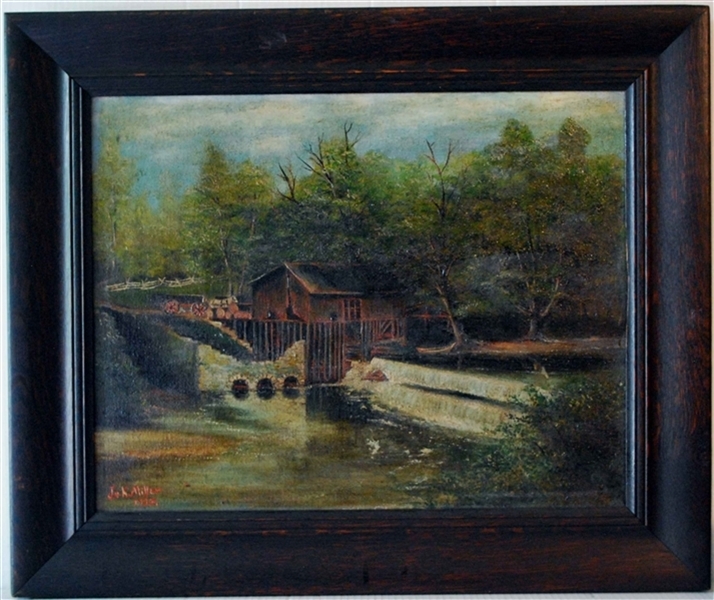 Depiction of the Old Davis Mill, Greenville, PA, Erie Canal, burnt down in the 1890's, Canvas size, 15 1/2" x19 1/2"